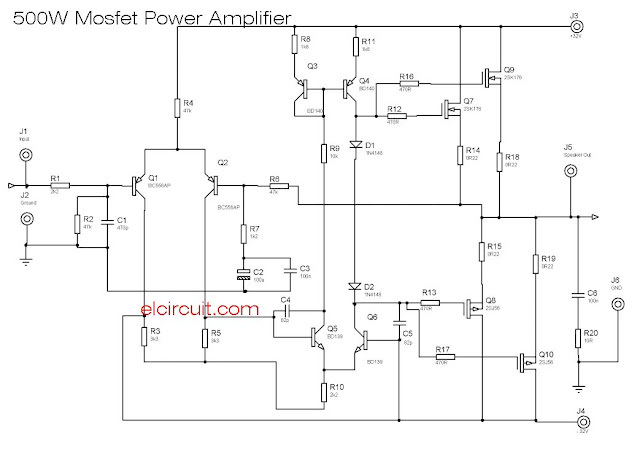 A Project creates a power amplifier circuit with a power of about 500W RMS using a MOSFET transistor as the main amplifier of this power amplifier. 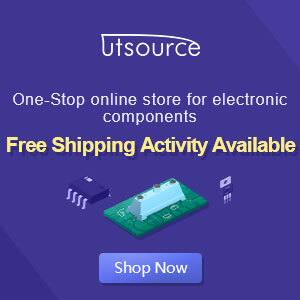 By using 2 sets of transistor MOSFET 2SK176,2SJ56. Description of the power amplifier is already designed as the picture above. 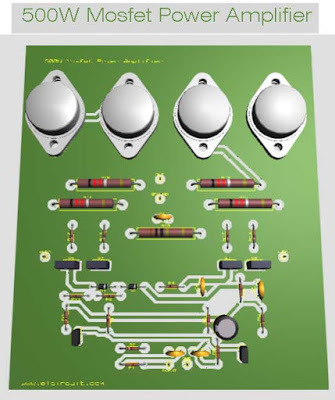 To make this power amplifier circuit is needed also some other supporting components. More details can you see the schematic circuit below. The power amplifier circuit above is using power supply 32V CT, or you can use maximum voltage 45V CT DC Supply. Power amplifier output about 500Watt Mono if you want the Stereo amplifier you can multiply circuit and Output Power about 1000W. For easy makes this power amplifier we share PCB Layout design as below. Which this type of amplifier? Generally, large signal or power amplifiers are used in the output stages of audio amplifier systems to drive a loudspeaker load. Alright it most extra power to drive speaker, so you can give more suggestion? 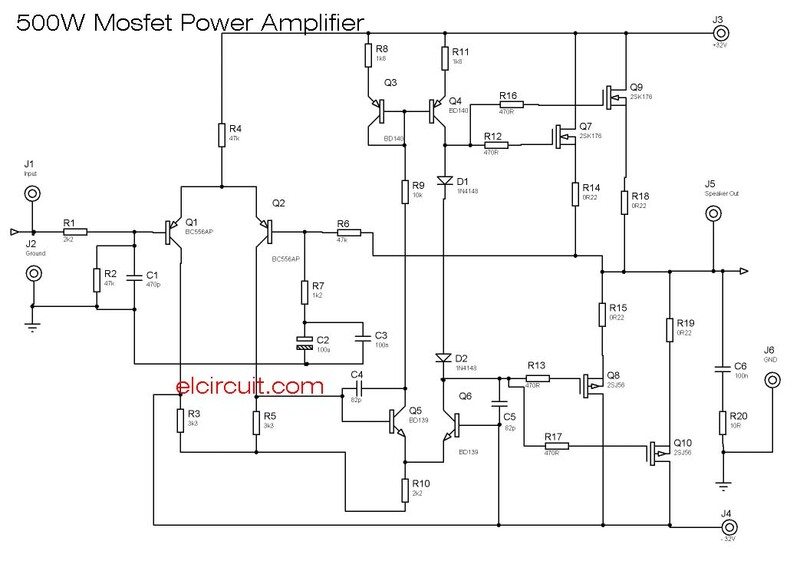 Do you have schematic of Class D amplifier high power output? I need it. 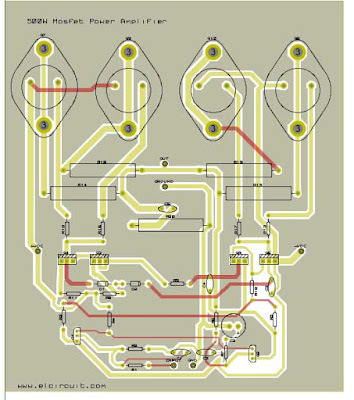 Bad circuit, with a supply of 45VDC CT you can only output less than 100W @ 8 ohms load. 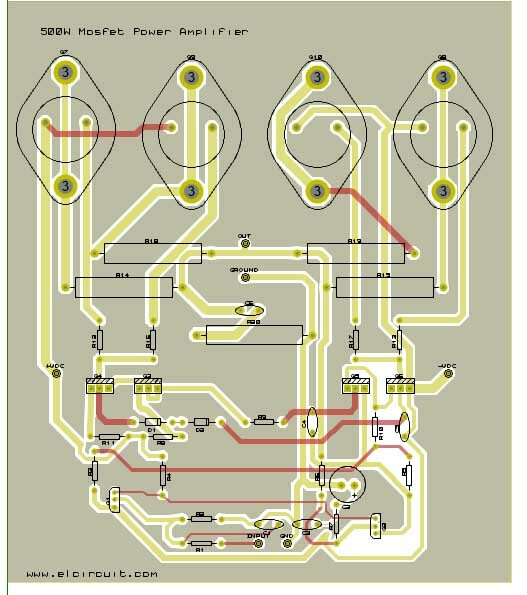 You miss something from copying the original circuit especially at the input and vas stage.